Inspired by the original version from 1960, this classic Play Doh Fun Factory is shaped like an actual factory building. 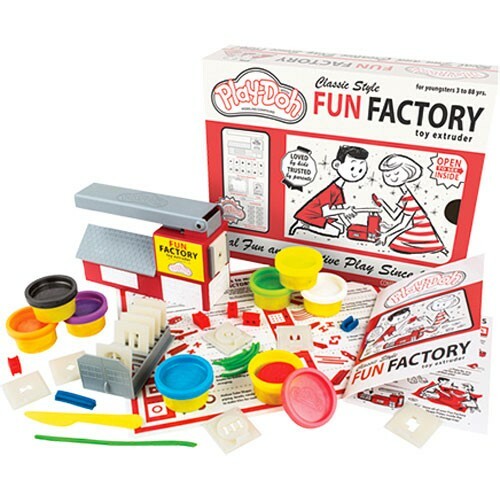 Just load your Play Doh into the factory, give the handle a push, and watch as your Play Doh creations take shape! Create fun and functional shapes like spaghetti noodles and i-beams for constructing buildings. Dimensions: 12W x 9.5H x 3L inches.